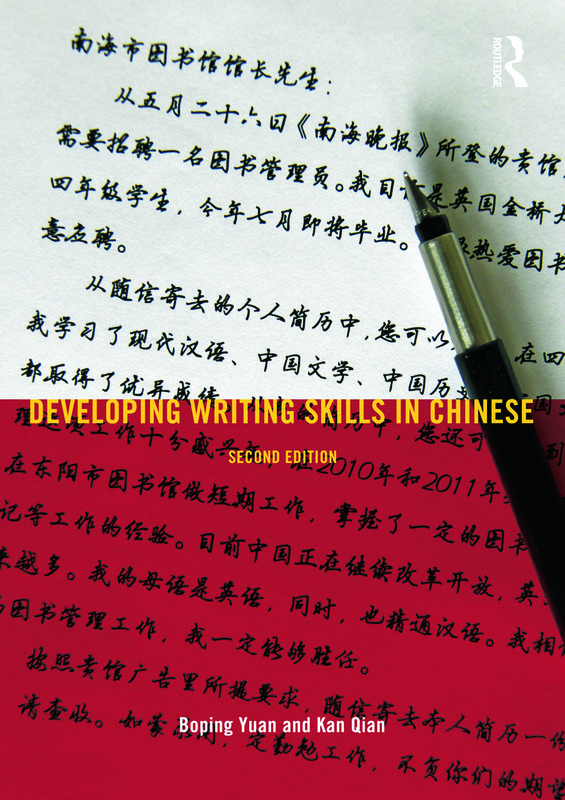 Developing Writing Skills in Chinese has been devised for post-intermediate students who need to write Chinese in the course of their life, work or study. Each unit covers a specific style of writing and is reinforced with a rich selection of model texts. All texts are followed by supporting notes examining the formats, styles, grammar structures or special phrases featured. A wide variety of exercises are featured throughout, and each unit concludes with a helpful glossary given in Chinese characters, pinyin and English translations. An answer key is also included in the back of the book. Developing Writing Skills in Chinese will help students to write coherently, clearly and appropriately in a variety of contexts. It is suitable for both classroom and self-study use.